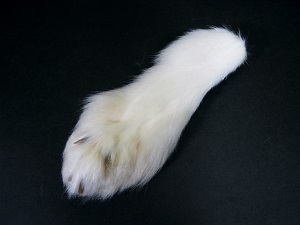 We have a limited number of fox legs and partial fox legs with claws attached. They are currently only available in Arctic Fox. These come in varying sizes, ranging between 11 to 16 cm long. Arctic Fox are not endangered and are not subject to CITES controls.